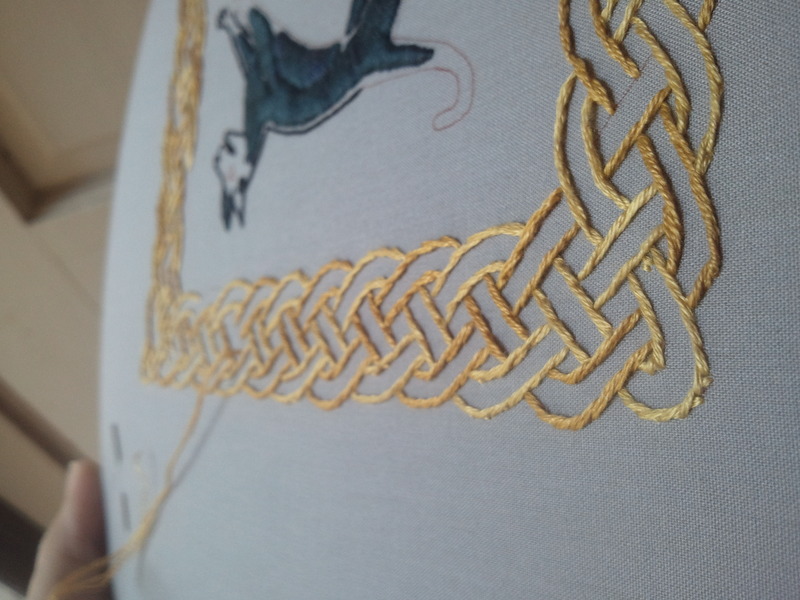 The end of the knotwork outline is in sight! I’m using DMC 676 and 729 on alternating bands, three strands in stem stitch. When the outline is finished, I’m going to fill it with split stitch in DMC 4240, a variegated blue. My stitching time this weekend is going to be mostly at places other than home, so I anticipate getting much further on this than on the needlebook. Although I like the way the knotwork looks in outline, I’m excited to see it fill in with the blue and get a little more solidity. So beautiful, I love the softness of the gold. It’s always fun to work with variegated, I’m doing that now too. Thanks! 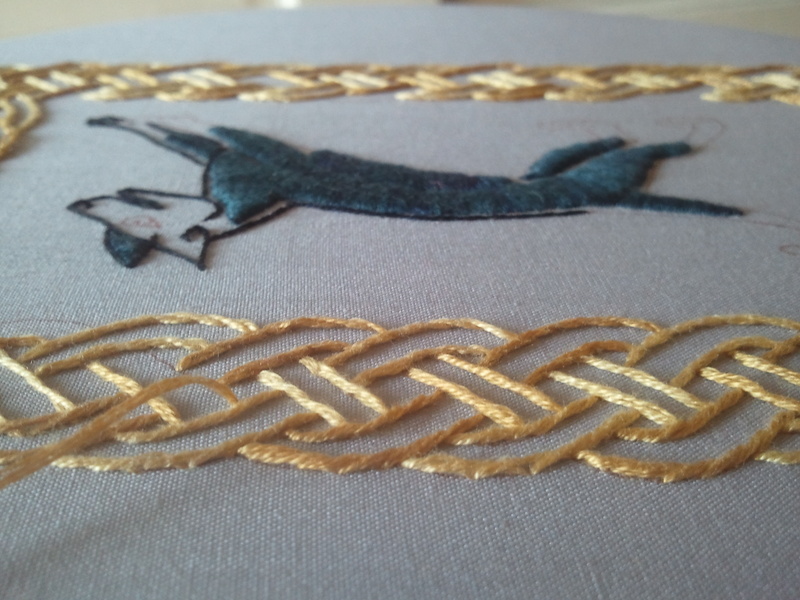 I am *thisclose* to the end of the gold and really looking forward to the variegated. Going to be fun! Does the Nerd Duckie have variegated, or is it on another project? It’s always so nice to move on from one thing that takes a while and get to something new. Yes, Nerd Duckie’s hair is variegated, using DMC 111 and DMC 69.